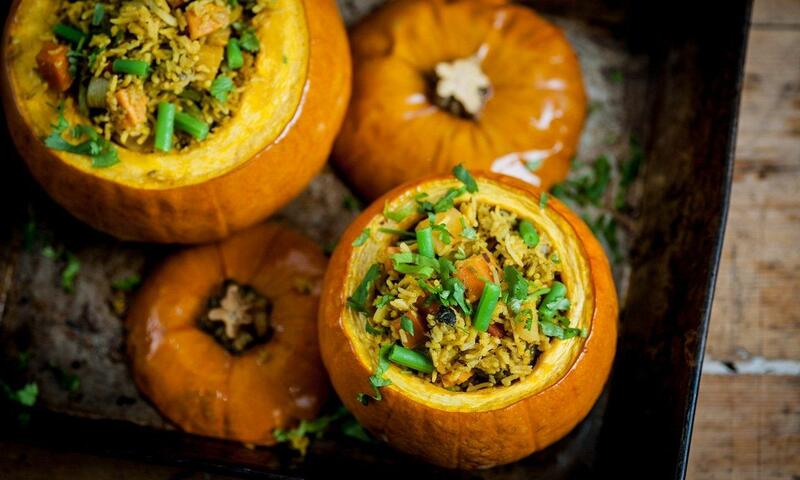 This communal vegetarian biryani recipe from Indian chef Vivek Singh fills a hollowed-out pumpkin with many different vegetables and rice and is perfect for a large celebration. Crack open the lid with your guests at the table and let the aromas of saffron, rosewater and pumpkin fill the air. Cinnamon Kitchen – Design Restaurant members and their guests enjoy a complimentary Bellini and 10% off the food bill when dining from the a la carte menu for lunch or dinner from Monday to Saturday – for more details click here. Not a member? Find out how to join at www.designrestaurants.com.